Easy Sloppy Joe - Kosher In The Kitch! Easy Sloppy Joe - Kosher In The Kitch! When my sister Tova told me she was serving meatballs, chicken AND Sloppy Joe for dinner, I thought she was crazy. I mean, that’s sorta taking supermom to a new level don’t you think? But then I watched her throw together this recipe and I felt a sigh of a relief when I noticed how easy it was and realized I could do it to. Brown the beef in a frying pan. Add the sauce to the beef. Combine and let it cook until bubbling. Serve with spaghetti or on a bun. If you let me know where in Brooklyn you are located I could try and find a supermarket near you. Shop Rite, Associated, Pathmark, ad most Kosher places would have it. I know Empire Kosher in Crown Heights carries it. My mother serves it in tacos, like they serve it in resteraunts. 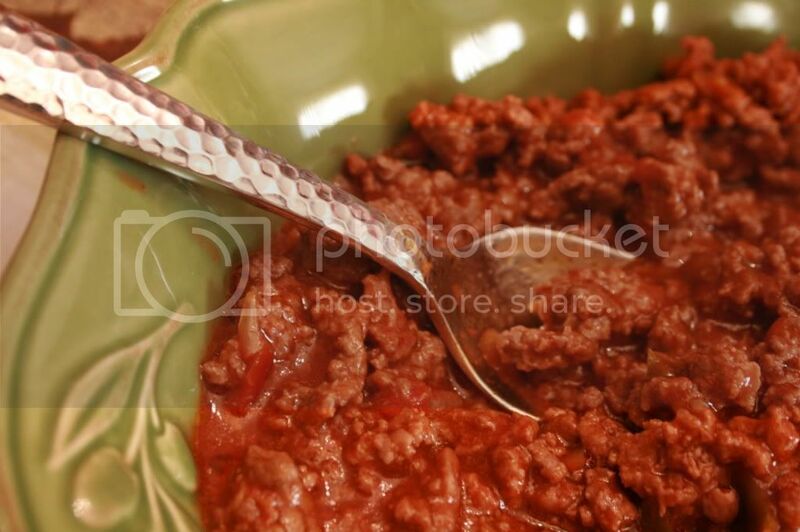 You don’t need sloppy joe sauce, ketchup works just as well and it is sooo yummy! I once asked my mother for her sloppy joe recipe and she said, it’s so easy, it’s just ketchup, onions, and bell peppers. That’s it! SO Good! my kids don’t all eat the peppers so even omitting them it is still delicious and SO easy! ketchup is cheap if you buy generic. this was delicious! a hit for all ages.